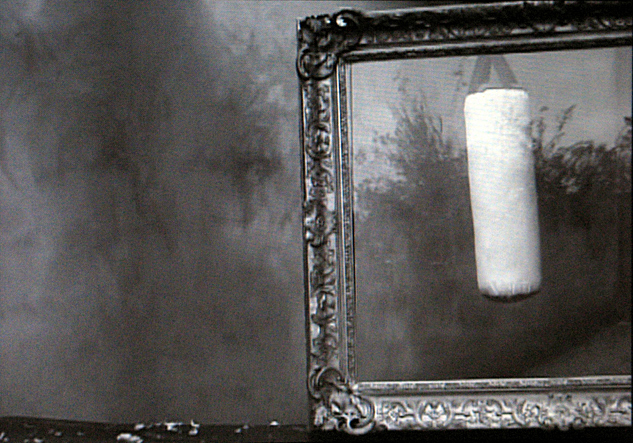 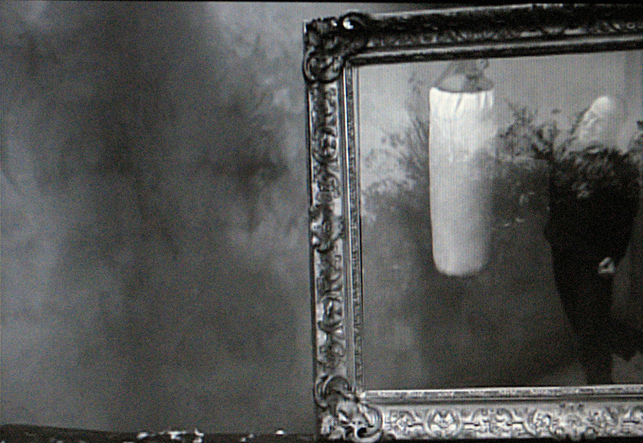 A punchbag appears behind an ornate picture frame and remains still until a man arrives and starts talking to it. 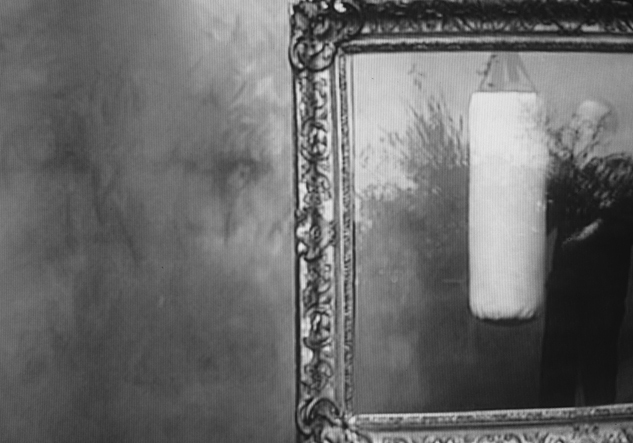 The man quickly becomes angry and starts shouting at the punch bag eventually picking a fight with it. 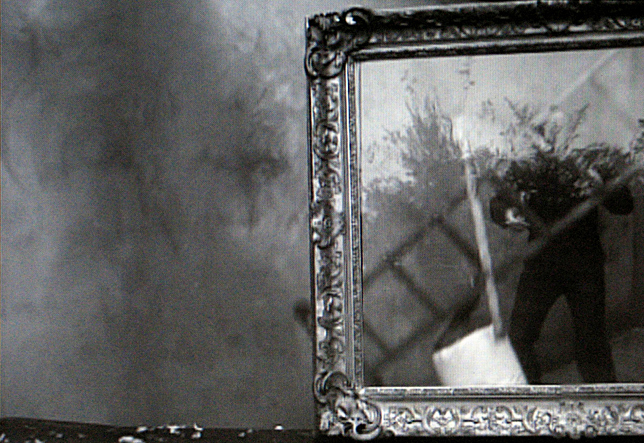 The man's violent action against a defenseless inanimate object is senseless but the event is framed beautifully by the picture frame until the facade falls away and the action is frozen.